Five More In 5/4 When it comes to odd time signatures, classics like "Take Five" and the theme to Mission Impossible are excellent places to start. But a small bit of digging turns up many other fantastic, and often lesser known works. Here are a five more songs that successfully employ the 5/4 time signature with great diversity and show how playing in 5 can be used in a variety of approaches and styles. While classics like "Take Five" and the theme to Mission Impossible are excellent places to start when it comes to discovering odd time signatures, many other fantastic, and often lesser known works can be found with a small bit of digging. Here are a five more songs that successfully employ the 5/4 time signature with great diversity, and show how playing in 5 can be used in a variety of approaches and styles. Hear Sara Fishko's report on classic examples in 5/4 time. When it comes to odd time signatures, especially 5/4, most people look no further than Dave Brubeck's classic Time Out, which featured "Take Five" and "Blues Rondo ala Turk," a song in 9/8 time. But if you dig deeper into Brubeck's catalog you'll find he didn't stop there. 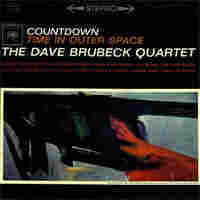 "Countdown," from Countdown: Time in Outer Space, is a typical blues progression that Brubeck reworked by adding one beat to each measure. Brubeck's bluesy stride piano figures are so natural and unforced that the 5/4 feel goes almost unnoticed. But the rhythms and interplay are altered just enough to make this blues anything but routine. 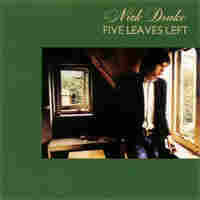 One of the more revered songs from Nick Drake's first album Five Leaves Left, "River Man" is a moody folk lament that is enhanced by its 5/4 time. Accompanied by haunting string arrangements, Drake's guitar cycles through four repeated chords. While the song's harmonies are primarily in major keys -- except for the first minor chord in every cycle -- the droning 5/4 waltz rhythm adds extra tension to Drake's lyrical themes of anxiety, depression and death. Jazz pianist Brad Mehldau also has a few memorable interpretations of this song, notably a solo performance on his album Live in Tokyo. While Bela Bartok's Mikrokosmos was originally intended as a series of short etudes for beginning pianists (volumes 1 and 2 were dedicated to Bartok's son Peter), by the the later volumes the technical exercises became increasingly difficult and also more substantive. In Mikrokosmos, Bartok fuses Western and Eastern traditions, specifically the folk music of Eastern Europe. Like most of these pieces, "In Mixolydian Mode" (No. 48) is a straightforward melodic and contrapuntal exercise. The difficulty comes from the 5/4 time signature, which even then was something of an oddity. 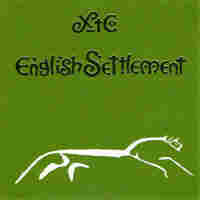 XTC's 1982 album English Settlement is full of notable, poppy post-punk gems such as "Senses Working Overtime" and "Ball and Chain." Another highlight track, "English Roundabout," is an upbeat and danceable song that cleverly disguises its 5/4 time signature. With crisp guitars, a sturdy repeated bass and steady back beat, the song lacks the swing that other examples might display. But its interlocking, polyrhythmic parts are enlivened by influence from African and Latin rhythms. Blind Faith's self-titled album is one of the few classic supergroup records that actually encompasses the talents of all of its members -- Eric Clapton, Steve Winwood, Ric Grech and drummer Ginger Baker. While Winwood and Clapton can be heard all over songs like "Had To Cry Today" and "Can't Find My Way Home," Baker's presence is felt most on the album's last track, the fifteen-minute jam "Do What You Like." In both Blind Faith and his former group Cream, Baker brought strong jazz and African music influences to his flamboyant drumming. Baker's love for jazz can be heard in this rollicking 5/4 groove and his lengthy improvisational solos.